NHS Northern, Eastern and Western Devon Clinical Commissioning Group’s [NEWDevonCCG] Governing Body met in public on Wednesday 28 September to discuss the Your Future Care consultation on community services in the Eastern* locality of Devon. * The Eastern locality refers to the area of Exeter, East Devon, Mid Devon and parts of West Devon, including Okehampton. Following agreement by the CCG’s Governing Body to proceed with a public consultation on community services, people will now be given the opportunity to find out more about the Your Future Care consultation and to have their say. 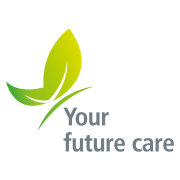 The Your Future Care consultation will launch on Friday 7 October 2016, and will run until Friday 6 January 2017. At the Governing Body meeting, a comprehensive model of care for people who are frail or elderly was discussed by health commissioners from Northern, Eastern and Western Devon. This includes changes to the way community services are provided and could result in a reduction of inpatient beds at some locations. The CCG’s Governing Body were presented with four options for a public consultation process.The model responds to the views of patients and clinical staff about what they wish to see provided in future. More than 80 clinicians have worked on the model, which could see a much more responsive service in people’s homes – where it is safe and appropriate to do so. Now we have agreed to go ahead with public consultation with a set of clear options for local people to consider, we want to encourage people to get involved and have their say on how community services should be provided in the future. The proposals have been expressed as four options, outlined in full below. The preferred option is A, as this combination results in the smallest changes in travel time and has greatest whole system impact. Honiton Hospital and Okehampton Hospital do not appear in any of the shortlisted options. Subject to consultation, the proposal would mean that there will be no inpatient beds on either of these sites and the new model of care would be implemented. Once the consultation starts, a series of roadshows will provide a drop-in environment for people to come along to and speak with clinicians and other NHS staff about the proposed changes and find out more about the new models of care. These will be followed with public meetings throughout November and December – where clinicians and managers will present information about the proposed changes. A full programme of events will be published shortly and this will be shared widely. Information about the consultation will be available on the NEW Devon CCG website, under Your Future Care here. We will be in touch with further detail in the coming days and weeks, including details of planned events, information about how the consultation document will be made available and more detail about how people will have their opportunity to get involved in the consultation. d-ccg.YourFutureCare@nhs.net by phone on 01392 356197, or by post to Success Regime, NHS NEW Devon CCG, Newcourt House, Newcourt Drive, Old Rydon Lane, Exeter EX2 7JQ.